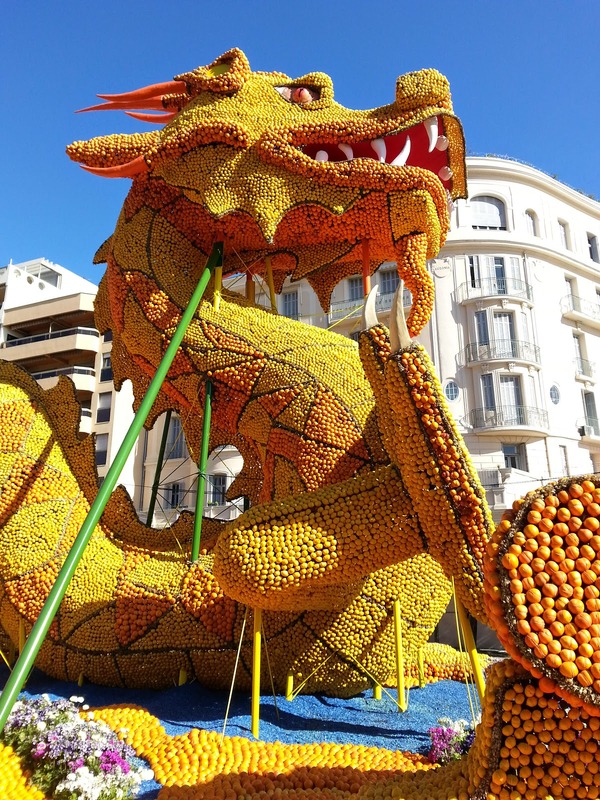 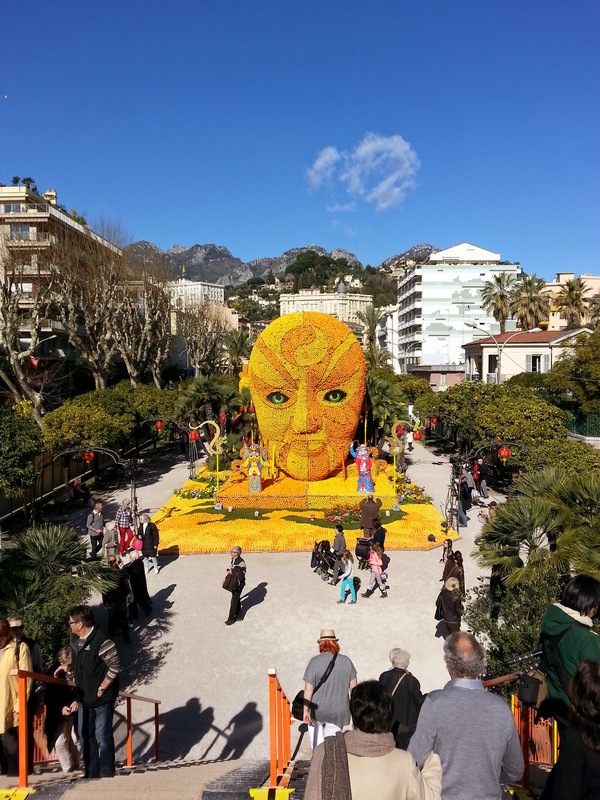 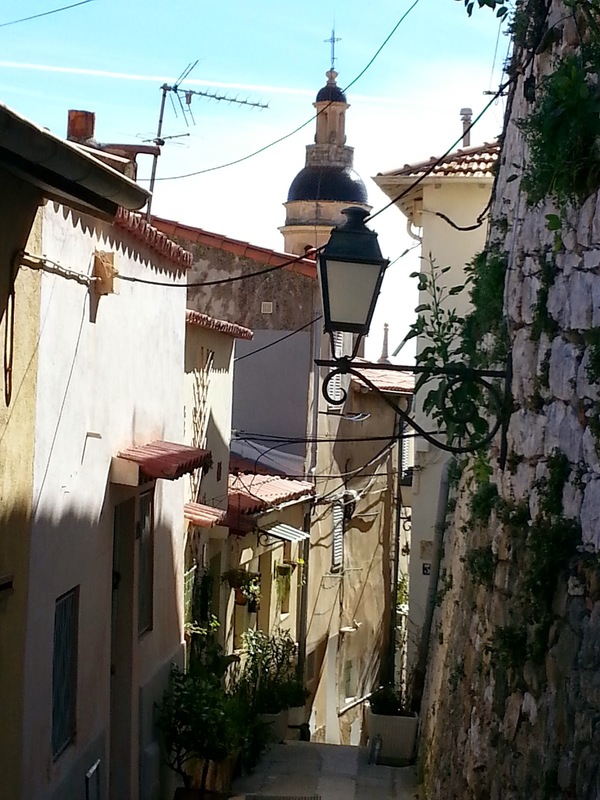 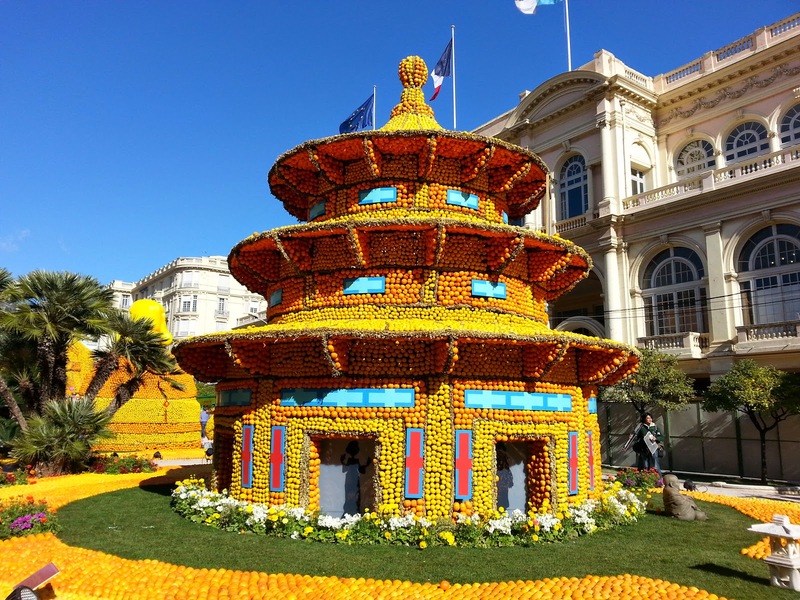 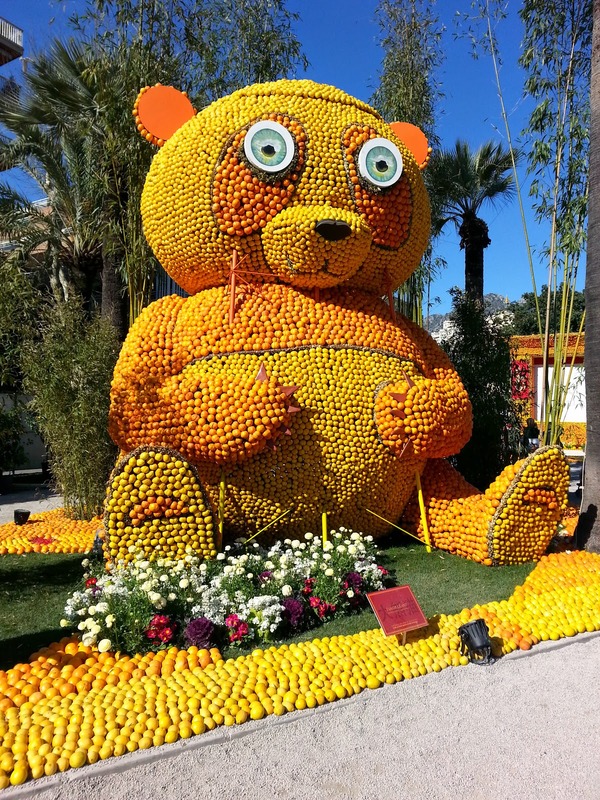 Last week we were sunning ourselves in the South of France and so took ourselves off on a day trip to visit the Menton lemon festival not really knowing what to expect. 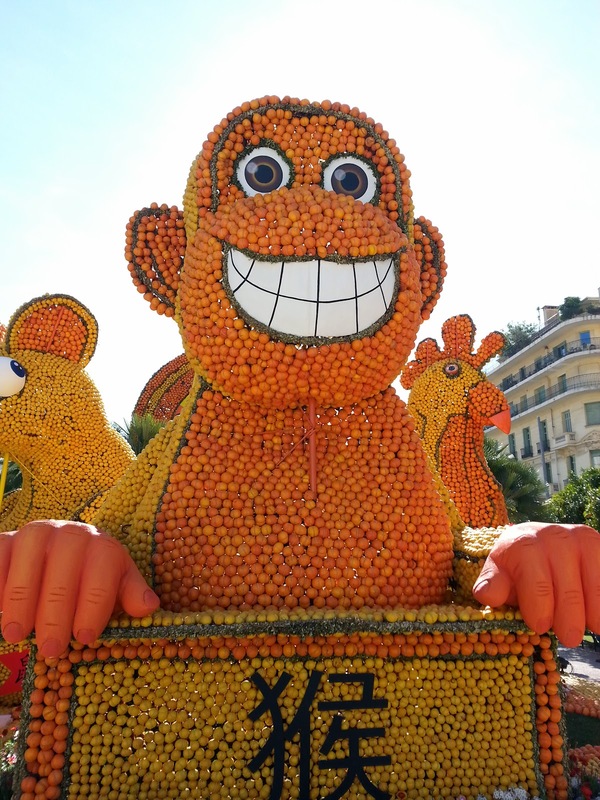 Menton nestles on the border with Italy and so has a good climate for growing lemons and indeed when the festival was founded in the late 1800's Menton was the number one lemon-growing region in Europe. 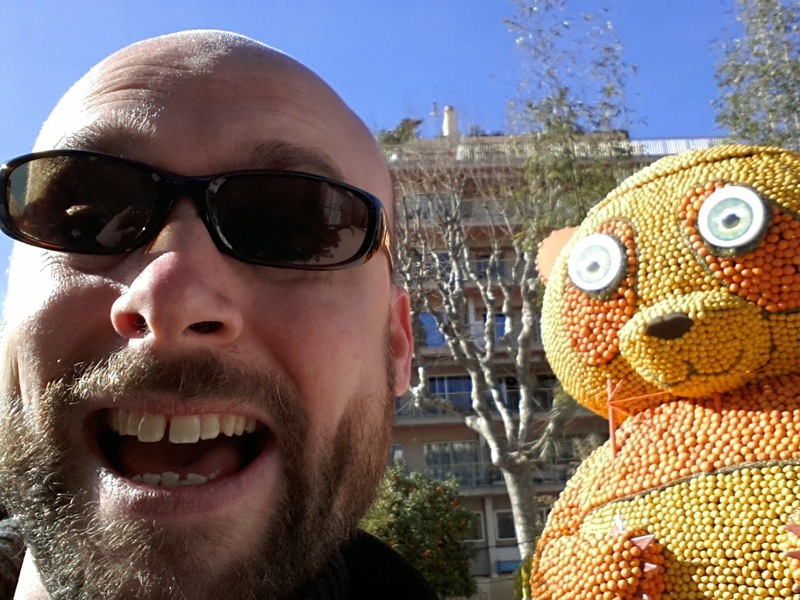 This is my surprised face at coming across a lemon Panda! 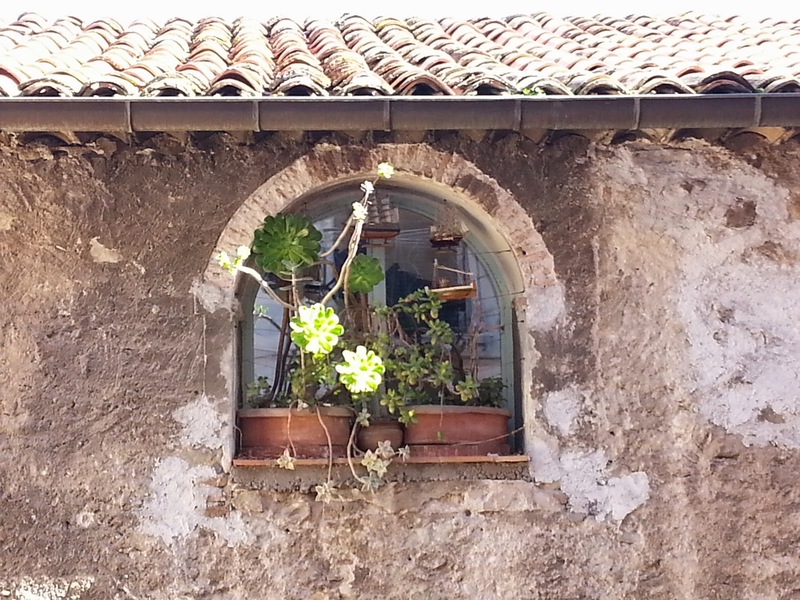 We have one lemon tree in a pot that so far has survived about 5 years of winters with minimal protection. 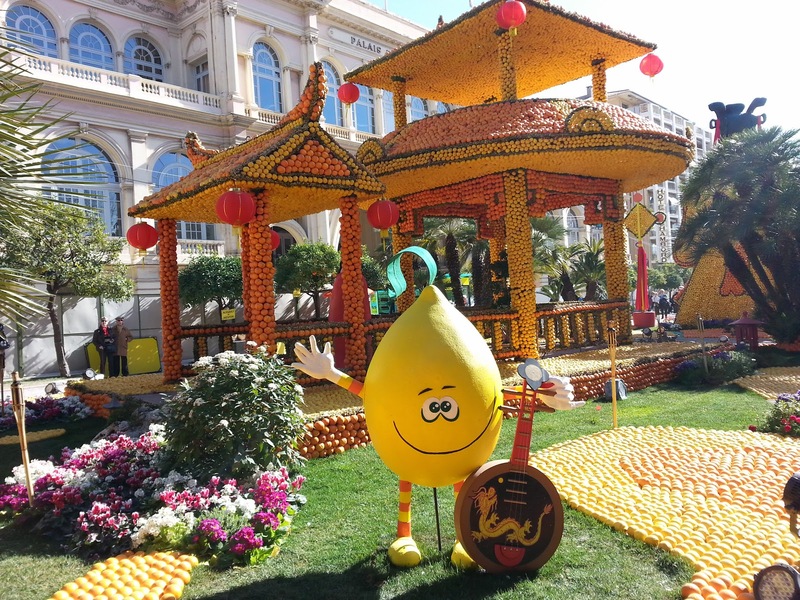 It has also now started producing lemons and we have had 2 gin and tonics with Camberwell grown lemons! 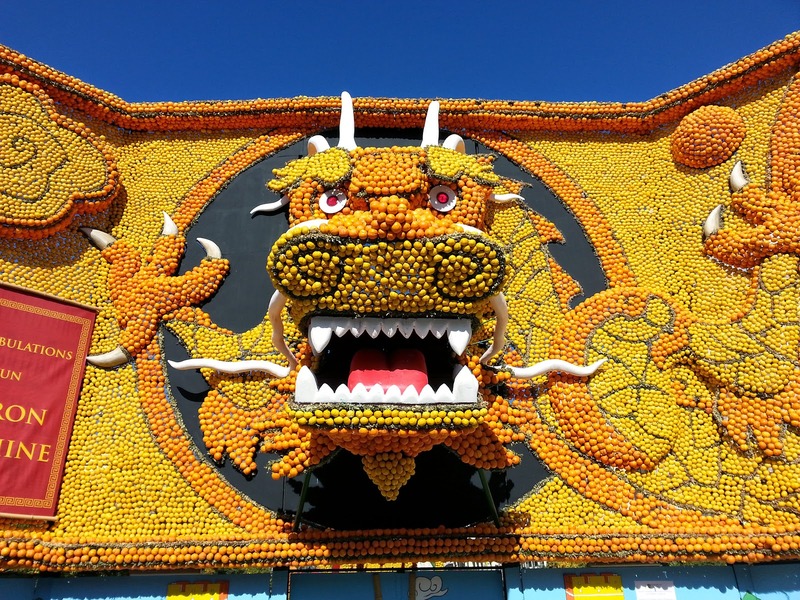 They are good, relatively east plants to grow as the scent from the flowers is intoxicating. 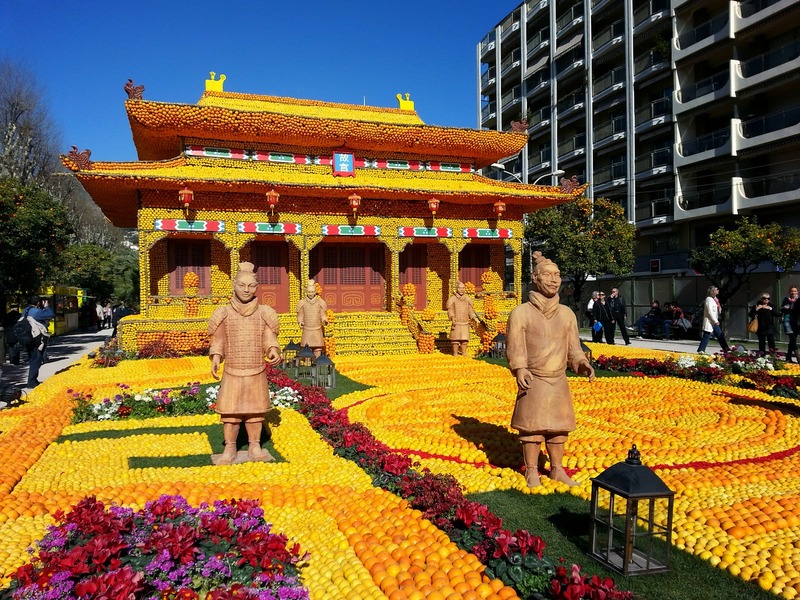 You will need some good protection, but they aren't as tender as people think.